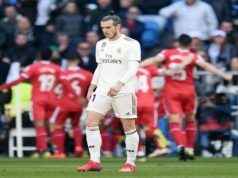 Real Madrid went through the semi-finals of the Copa del Rey after beating again (1-3) Girona. 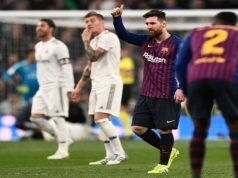 Los Blancos were much better than their rival in the aggregate (3-7) and continue giving good feelings before the important months of the season. Karim Benzema was again the star of the game. Betis, FC Barcelona and Valencia await in the next round. 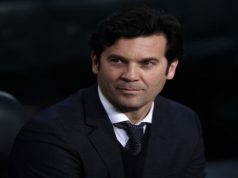 Despite the result in the first leg, Solari didn’t want to risk and he put the best team available, only with Ceballos and Marcos Llorente in the midfield instead of Casemiro and Luka Modric. And Real Madrid started the game very focus. Los Blancos didn’t want any warning as it happened against Leganés, but the match was completely different. Girona pushed hard, especially in the beginning, and hit even the post, but Solari’s men reacted quite fast. 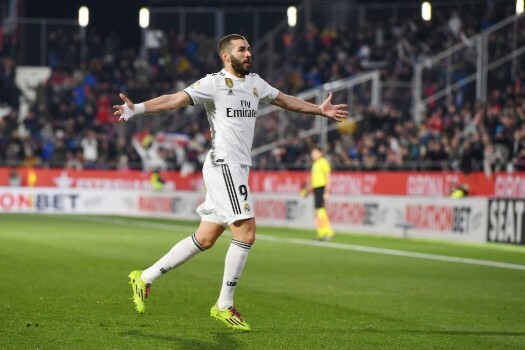 Karim Benzema shot three times on target before scoring the first goal of the game after a good combination with Carvajal. Far from being relaxed, Real Madrid tried to score the second goal and the most clear chance arrived with an amazing combination between Marcelo and Vinicius, but the left back missed it in front of Gorka Iraizoz. But the protagonist of the game was again Benzema. The Frenchman scored his brace in the 43rd minute with a great shot, hitting even the post. Benzema is at his best since his arrival at Bernabéu, ten years ago. With the advantage of four goals in the aggregate the second half was very calm. Solari made changes to give Sergio Ramos and Benzema some rest. Meanwhile, Asensio was close to score, but even more Lucas Vázquez, who hit the post. Girona tried to score in front of their supporters and they got the prize in the 71st minute thanks to Pedro Porro in a counter attack. Los Blancos reacted to this unexpected goal with a great shot by Marcos Llorente, who nailed the third goal. Real Madrid are back to the semi-finals and just two steps away of the silverware. Barcelona, Betis and Valencia can be their rivals to get to the final. On Friday we will see the draw and the rival.